I have an original EEE PC 701 that I've not used since getting my MacBook. The stupid reason was that I didn't have enough RAM in the EEE PC to run Windows XP since I moved that RAM into my MacBook. However, recently I wanted to put the EEE PC to use again by installing one of those netbook-specific Linux distributions. Since Ubuntu 10.04 ("Lucid Lynx") happens to be released today, I decided to go with the newest. Starting from 10.04, the netbook version of Ubuntu is called Ubuntu Netbook Edition. 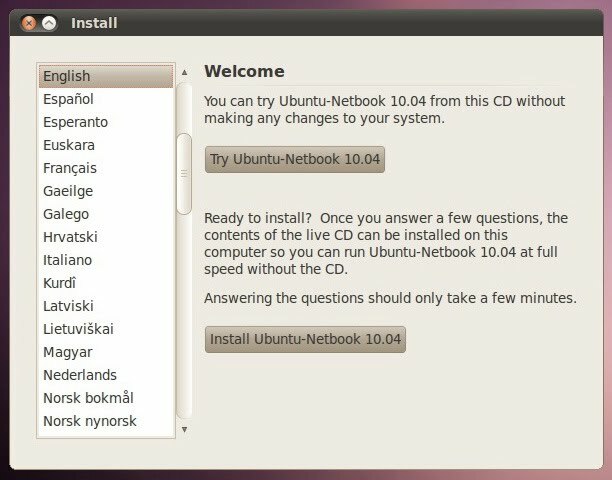 It used to be called Ubuntu Netbook Remix, which I think is a much better name. 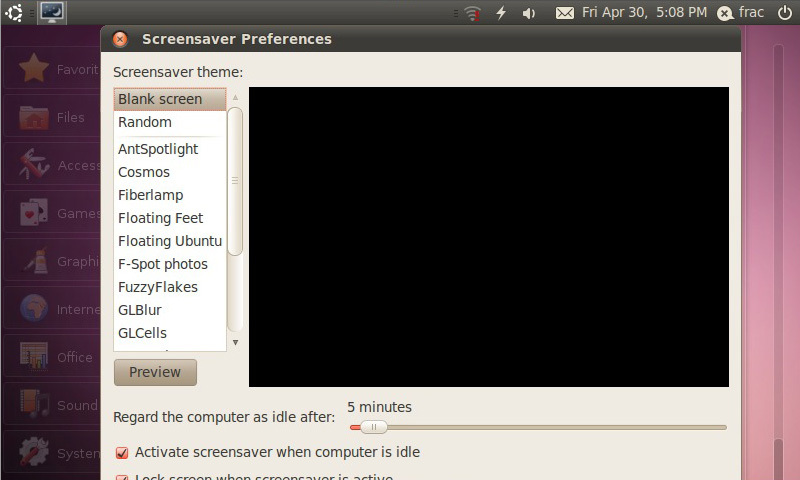 I have an external DVD drive, but I wanted to try installing from a USB flash drive, so I ran the USB creation utility included in the Ubuntu CD to create a bootable USB drive to do the installation. The entire installation only took a few minutes, and it automatically detected all the hardware of the EEE PC 701. It just works. One issue I have is that since the EEE PC 701 only has an 800x480 screen, a lot of the dialog boxes are cut off on the bottom. However, it's possible to drag dialog boxes off the top edge of the screen by holding down the Alt key and dragging anywhere inside the window. The second issue is that when waking up from standby, Ubuntu complains that "disk is being used outside design parameters", which is apparently a known bug. Since my EEE PC has a 4 GB SSD, it shouldn't have any trouble, so I just ignored the warning by clicking "don't warn if the disk is failing". I had a lot of experience with Linux a long time ago before it turned all graphical, but recently I've only used Linux to cross-compile router firmware. The only Unix-like OS I still use these days is actually OS X, which is Unix-like, with a GUI. So with these experiences behind me, you would think that I should have no trouble using Ubuntu, especially the simpler netbook specific edition. But noooooo, I can't even figure out how to install Skype from the GUI. After a lot of Googling, I found out the best way is to install Ubuntu Tweak, which is supposed to help with the installation of third-party software from in third-party repositories. After installing Ubuntu Tweak, I could see Skype being an installable option in Ubuntu Tweak's Application Center, but no matter what I did, I still couldn't get it to install. After like two hours of Google and trying everything in the GUI without getting anywhere. Give up simple user interface. Open terminal. "sudo aptitude install skype". Done. I was away for a week with no access to the Internet of the free world, and a whole bunch of things get released. 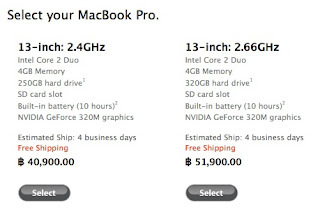 By now everyone's arguing whether the new 13" MacBook Pro should've gotten the Core i3/i5 or not, but to me, the bestest thing about this refresh is that they finally updated the local pricing to more accurately reflect the value of the Thai Baht. The base $1,200 MacBook Pro now costs 40,900 Baht instead of the original 46,900 Baht. Now I can more easily talk my boss into buying it for me. Maybe when the iPad is released here sometime next month they will also use the new exchange rate, then maybe I can talk my boss into buying both the new MacBook Pro and the iPad for me. A few days ago, I added Socialwok to my company's Google Apps account. Socialwok is like having a private Facebook or Google Buzz inside my own domain. Yeah, I should be using Google Buzz, but Buzz is only available to regular Gmail, and not Google Apps. I would probably switch to Buzz when it's released for Apps. Anyway, so I was "training" some of my users on using Socialwok when one of my users complained that he couldn't update his status. The symptom was that when he clicks on the status bar, nothing happens. I logged onto his laptop remotely, and discovered that he was still using Firefox 1.0. Right. Not a problem, I'll just update it to the latest Firefox (currently at 3.6.3). But then I discovered that he was still using Windows Me! And FF3 doesn't support Windows 98/Me. So... I guess I would use FF2 then. 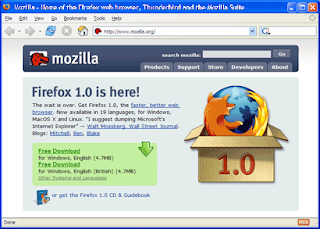 I went to oldapps.com and downloaded the final version of Firefox 2, which was 2.0.0.20. Unfortunately, Socialwok still didn't work properly. Now clicking on the status works, but the keyboard doesn't respond inside the status bar or any other typing area. I thought about installing Google Chrome, but Chrome also doesn't support Windows Me. Then I remembered reading about a patch that makes FF work on older versions of Windows. Sure enough, a quick Google search turned up KernelEx, which allows some modern programs requiring Windows 2000/XP to work with Windows 98/Me. Installing KernelEx also requires the installation of the Microsoft Unicode Layer. I've actually had the Unicode Layer for a while, but could never figure out what it's used for, since it doesn't seem to actually allow displaying Unicode. Anyway, after installing the Unicode Layer and KernelEx, FF3 installed, and Socialwok worked, and everyone was happy. Come to think of it, I should probably just give him my first gen Eee PC 700, since the Eee PC has a higher resolution (!) display, and is also much (!) faster than his ancient laptop. 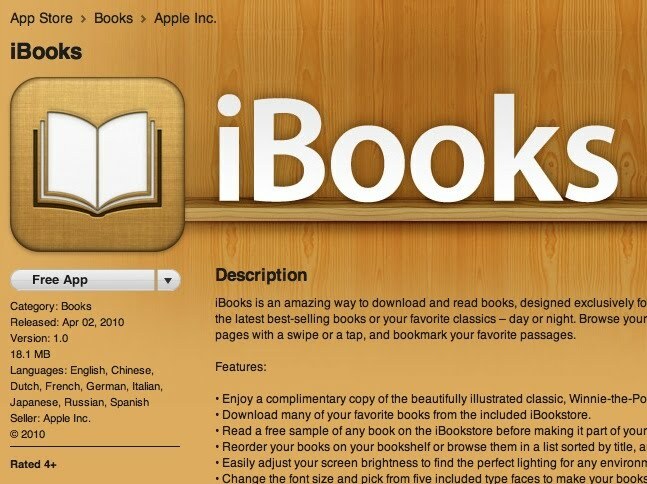 The Amazon Kindle app is now updated to be a universal app that works for both the iPhone and the iPad. I don't want a Kindle any more. When I opened iTunes this morning, it updated some of my apps to iPad compatible versions, eventhough Thailand's App Store doesn't have an iPad section yet. Then I noticed eventhough there's no specific iPad section, I can still search for apps and then an iPad section will appear. 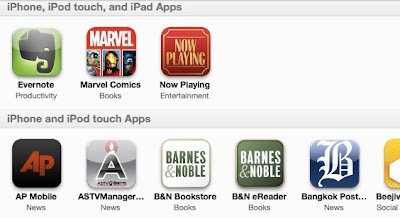 Unfortunately, it appears that many apps, especially games, aren't dual iPhone / iPad compatible but has an entirely separate iPad release that requires re-buying the app again. The reason I want an iPad: iBooks, a free download. Now where's my iPad?